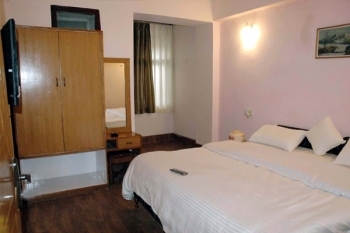 Hotel Anamika is a budget hotel in Nainital facing Naini Lake. The hotel is surrounded by the Oak trees and has full view of the lake hence creating a heavenly ambience. The reincarnation of Hotel Anamika is a great respite from the run of the Mill Hotels at Nainital. Hotel Anamika is situated in the upper Mall in the backdrop of the lush green hills. It is 5 minutes drive and 10 minute walk from hotel to the Mall road. 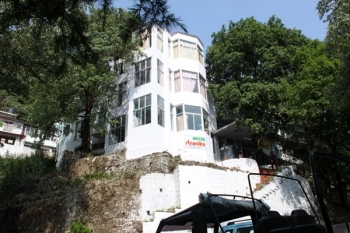 At Anamika Hotel in Nainital have 18 well appointed and well ventilated sunny rooms, 8 are lake facing rest are hill view. The multi cuisine restaurant of the Hotel lounge serves gourmets delight delicious food in Anamika Hotel. The culinary experties of the Chef makes each meal a special occasion for the guest. - Pick and Drop from the Mall Road, Own Private car Parking. - One child complimentary below 5 year with parent sharing basis.